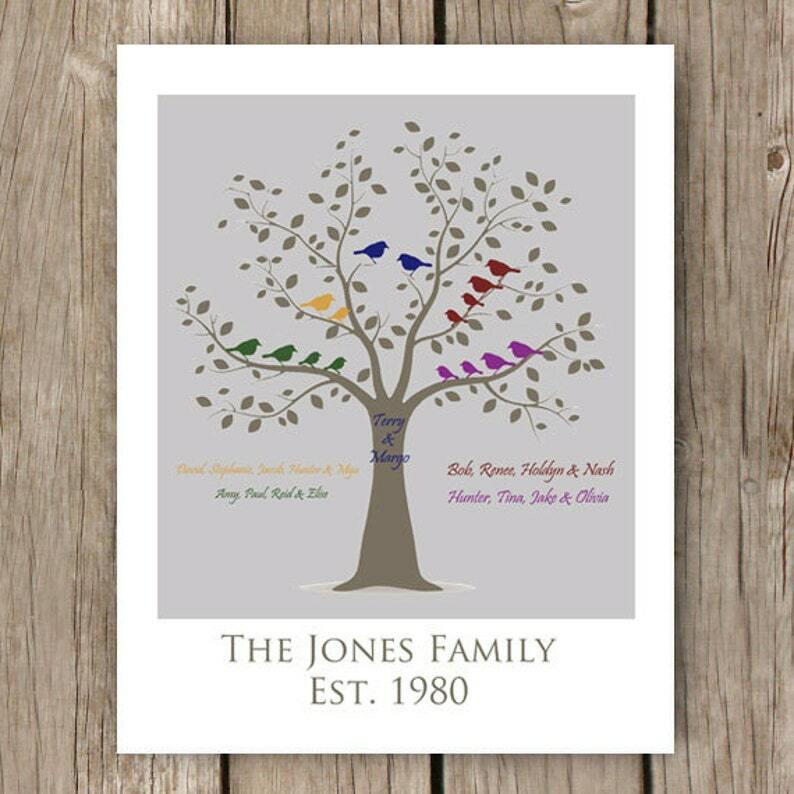 Add this Customized Family Tree Print Name Sign to your decor as a fun way to celebrate your family history! 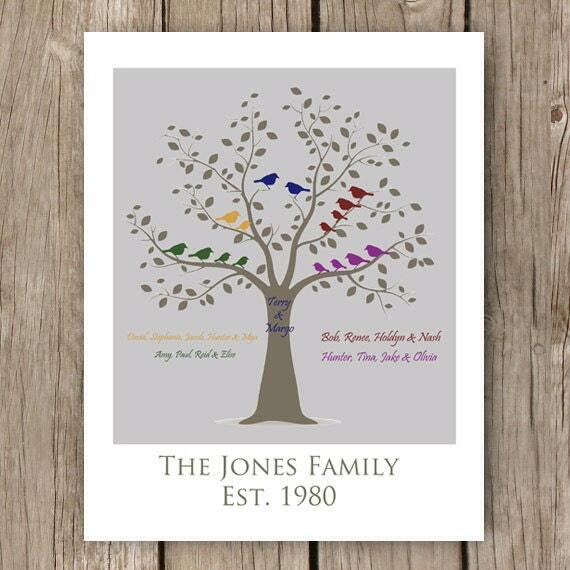 You can customize the number and color of the birds to fit your family. Print size: 8" x 10". Other versions/colors are also for sale in my shop! 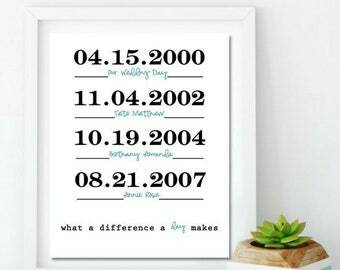 - THE YEAR YOU WERE MARRIED.